These strong and durable Lowepro lens bags are specifically designed to protect one of the most important pieces of equipment when it comes to all of your photography gear. These camera lens cases have built-in foam protection so you do not have to worry about your lens getting damaged while it is travelling with you by your side. They range from smaller zippered bags for lenses such as 50mm to bigger bags for lenses like a 600mm telephotoTELEPHOTOA lens with long focal length capable of making distant objects appear nearer thus larger. Essentially, it isolates and magnifies the subject so that it appears as a full image when shooting from a distance. Telephoto lenses are ideal for photographing subjects that are further away, such as wildlife and sports photography. lens. 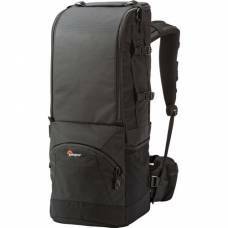 The bigger bags can carry a lens while it is attached to a DSLR Camera Body while the smaller bags are compact enough to fit into larger backpacks or roller bags. Buy your lens bag here online and stop worrying about your gear accidentally falling and being damaged.